Mr Kambwili, let’s dance donchi kubeba now ! Chishimba Kambwili was expelled from the PF yesterday together with Mwenya Musenge. We shall write about Musenge the other day. He seems to have committed lesser iniquities against Edgar Lungu than Kambwili. He simply has no Presidential ambitions for now as compared to CK. We are happy Mr. Kambwili deferred his Press briefing to a later date if ever he will be alive to address the journalist. Secretary General of PF Davis Mwila had a Press Briefing at same time that Kambwili was supposed to have his. Several cadres were mobilised to pounce on Kambwili if ever he attempted to have a presser. The threat is not yet over though. Kambwili may be arrested very soon and the reason is very simple. Edgar Lungu has to stop Kambwili from going to the Copperbelt. Kambwili is more popular on the Copperbelt that Edgar Lungu. The reason is very simple. 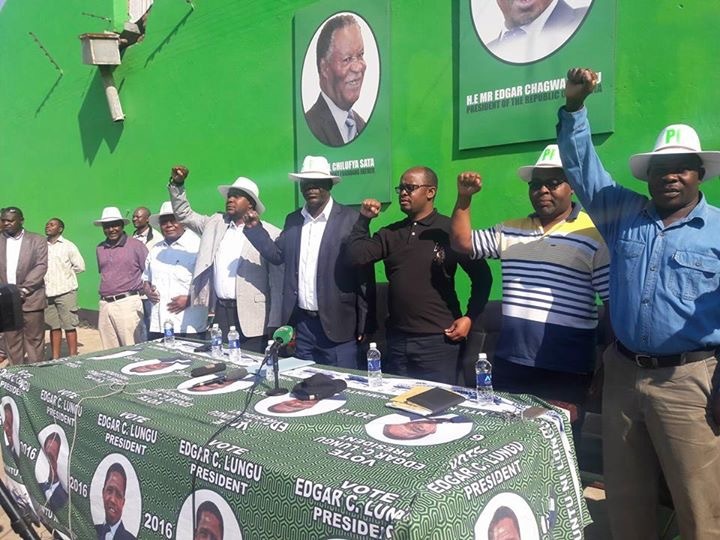 PF on the Copperbelt is driven and sustained mainly by Jerabos. Kambwili has been a Jerabo before. But why Kambwili? The answer is very simple. Tribal politics in Zambia is well entrenched. Kambwili knows it. He has practiced it before. We do not need to dwell on it too much because we detest it. If Kambwili is allowed free lane on the Copperbelt then we can as well say bye to PF. Yes Kambwili’s former party the PF, yaba apapene ati former anyway it happens has been surviving on divide and rule. It has made Zambians vote based on tribe and not on merit. This is not new anyway, it happened under Kaunda. Mwansa Kapwepwe was used by Kenneth Kaunda ans later dumped. We are not being tribal but just reminding Zambians especially those who can’t understand history bearing in mind that 80 percent of Zambia voters are young who never experienced the UNIP regime. That is why it is very simple to entice them based on a song by a Satanist Marcky 2 or JK with Dununa Reverse. Politics goes beyond dancing on Tujilijili and Junta on an empty stomach. Zambia is like a Big Cake. We all have equal shares regardless of where we come from. Kambwili now we cry that he has been used and dumped by easterners such as Lungu, Kaizer, Rupiah Banda and the rest. It is important to anchor your political tribe on one Zambia one Nation. KK did it to Kapwepwe. Ba Kambwili our advise is ” Donchi Kubeba wilalila shiiiii”. That’s PF for you. The Panga Family. The monster you created. Had you gone ahead with the briefing, they could have pangad you together with Journalists. They have stolen enough. They want to protect their territory. Did you steal with them? Here is another advise. When they summon you at that moribund institution you call Anti Corruption Commission, just say I was sent by Edgar Lungu. That is how your Friend Emmanuel Chilubanama the former PS State House has survived arrest. Otherwise you will be arrested soon. Just Sonta Epowabomba. (Epomwaibile). Chao.